“We the people of the United States,” The Preamble begins with a radical departure from the way government typically operated. At the time, most governments were headed by a monarch. In stark contrast, the Preamble introduces a government ruled of the people, by the people, and for the people — declaring that concept as the foundation for the rest of the document. 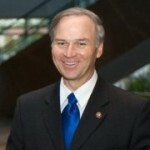 Congressman J. Randy Forbes (VA), Founder and Co-Chairman of the Congressional Prayer Caucus, led over 30 Members of Congress in sending a letter to Ray Mabus, Secretary of the Navy, and Rear Admiral Margaret Kibben, Chief of Chaplains for the Navy, urging the Navy to reinforce policies currently in place that protect military chaplains’ freedom to practice their religion according to the tenets of their faith. Rep. J. Randy Forbes (R-VA), founder and co-chairman of the Congressional Prayer Caucus, recently named Senator James Lankford (R-OK) co-chairman of the Prayer Caucus. The Caucus works to protect the fundamental human right of religious freedom and guards the right of individuals to pray and practice their faith freely. Congressman Randy Forbes (R-VA), Congressman Bob Latta (R-OH) and other lawmakers are seeking answers from the head of the Department of Veteran Affairs over the censorship of Christian symbols in VA Hospital chapels. The congressmen want to know why a VA Hospital in Michigan was told to hide all Christian symbols in its chapel. The hospital was forced to hide statues of Jesus and Mary, an altar and a crucifix with a long curtain. The Ground Zero cross is just one example of the many legal challenges that have threatened memorials around the country. Another memorial — the Mount Soledad Cross in California — has been the center of a legal battle for more than 20 years. The cross was dedicated in 1953 to honor those who gave their lives in World War I, World War II, and the Korean War. Many, including members of Congress, have risen to defend the cross, but the Ninth Circuit Court of Appeals held that the cross was unconstitutional. The fate of the cross has been appealed to the Supreme Court.